When trying to sell your own items before a move, or when trying to sell the items of a deceased family member, or when just attempting to declutter and make some extra money, you hold a sale. We’ve discussed yard and garage sales, which are sales that you prepare in entirety at your own home, and estate sales, which you or a professional can host. What we haven’t discussed as another option is to host an auction, which is just one more type of sale that you could choose. Often when trying to sell an abundance of large, significant items, such as furniture, antiques, china, or expensive clothing or shoes, an auction is your best bet. Like an estate sale, an auction can be hosted by a professional, or you can do the planning yourself. However, check the rules in your state. 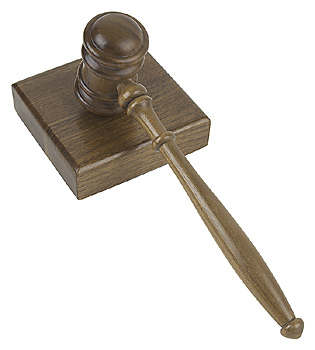 Some states don’t allow auctions to be held by anyone but a licensed auctioneer. It is often held at a public location, but in rare occasions, it could be held at your house. The more it is advertised, the more people that will show up, and most likely, the more money you will make. Once set up with a location and time, people show up to place bids on your items. Though numerous types of auctions exist, the most common type is for each item to be presented one at a time, and for people to shout out how much they are willing to pay for the item. The price continues to rise until no one else places a bid. At that time, the last person to place a bid receives the item once they pay the amount that they agreed to. Another type of auctions is a silent auction, where people freely walk around and look at items, and if they’re interested, they can write down an amount they’re willing to pay. The highest bidder wins. Auctions can also be set up over the phone or on the Internet. The basic concept remains the same, with the highest bidder receiving the item they bid on, once they pay that amount. Is hosting an auction right for you? Browse through the items that you want to sell, and hypothesize how much you think they’ll worth, how many items you have, and how significant the items are. If you have more shoes and children’s games than you do furniture and china, you might want to steer toward an estate sale or garage sale. If you decide you want to host an auction, figure out preparation costs and make sure that you’d be making more than you’d be spending to prepare for an auction.